My name is Jenny Doser and I am the owner of Relax. Rinse. Repeat. It all started in 2015 with a frustrated phone call from my best friend about how even products labeled as “natural” or “organic” can still have harmful chemicals or toxins. As an Autism mom she searched for products she could trust for her son, Grayson, but found these products to be hard to find and incredibly expensive. Stefanie Epperson, Grayson’s step-mom, writes all about our inspiration, Grayson’s story, in the article found here. 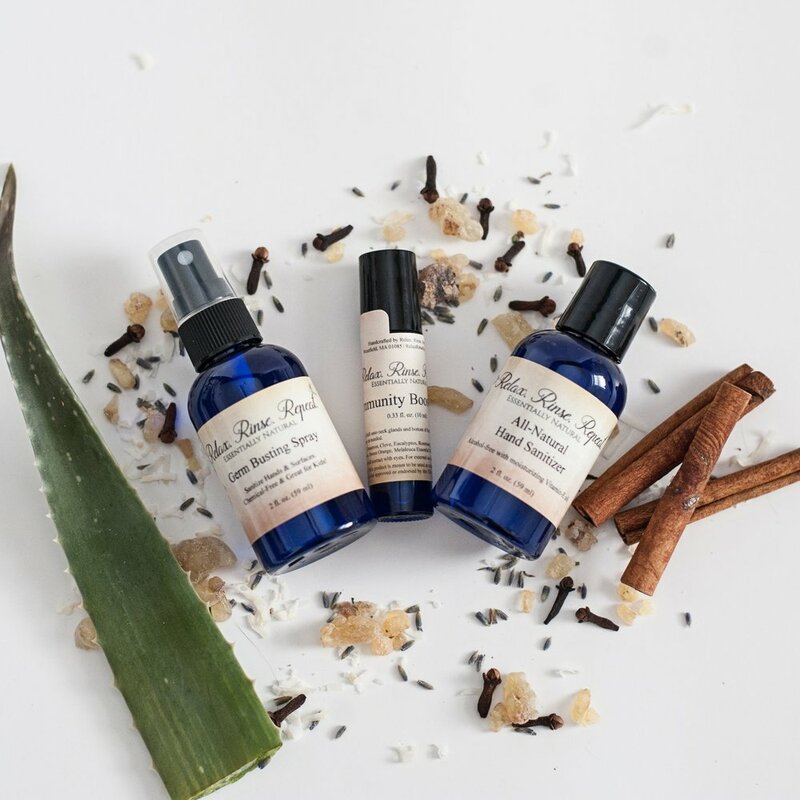 The heart behind my company is to handcraft quality products that you can trust to be chemical-free, safe, effective, and affordable for your entire family! We even have products for your furry friends! I handcraft our products in small batches without harmful chemicals or unpronounceable ingredients. 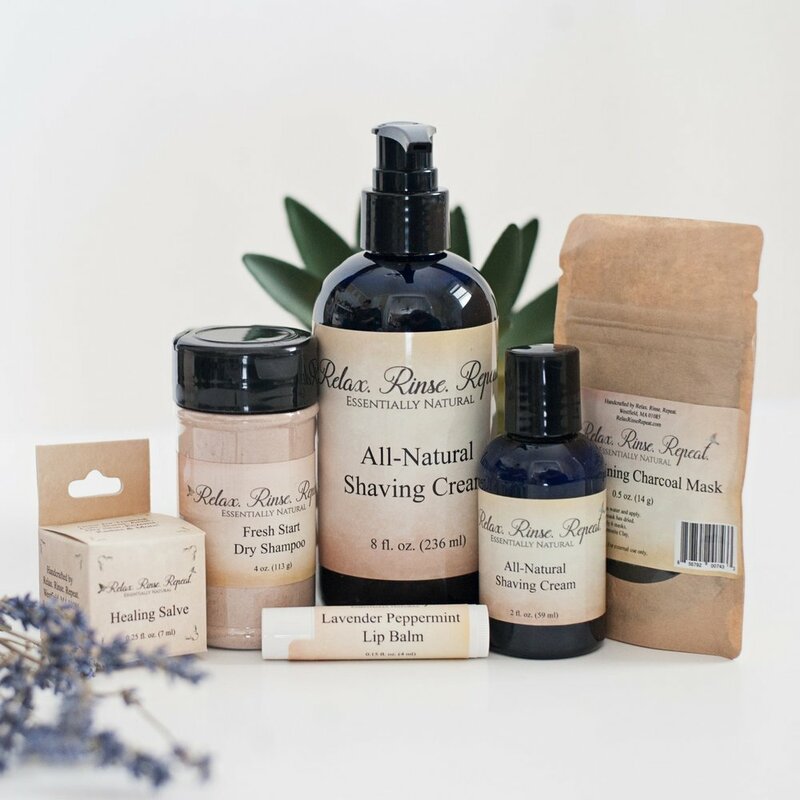 Our products are cruelty-free and made with the highest grade essential oils, clays, butters, and other organic ingredients. We believe chemical-free products should be affordable but also have a heart behind them. We are happy to donate over 10% of every purchase to Autism Speaks and other local charities! If you have a question for us, would like to find out more about a retailing relationship, or simply want to say ‘hello’, we look forward to hearing from you! Sign up with your email address to stay in-the-know about promotions, new products, upcoming vendor events, and more. As a ‘thank you’ for signing up, you’ll receive a promo code for 20% off your first order of $25 or more! Thank you for signing up! Use promo code SIGNUP20 for 20% off your first order of $25 or more!